The studies of 1905 envisaging a direct de-Luxe London - Paris with 12-wheeled CIWL day saloons had not materialized. 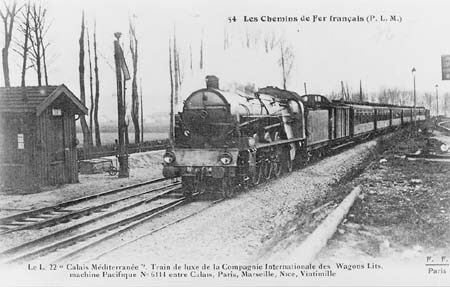 The Fleche d’ Or CIWL “Pullman” day train Calais - Paris of 1926 later conveyed also the sleepers for the Rome-Express, Train Bleu and Simplon-Orient-Express. The only train ferried over the Channel was the Night Ferry London - Paris and Brussels, running from 1936 until 1980. After WWII the Train Bleu was re-started, hauled by Pacifics and on the non-electrified sections by the slow 141R. But as an all-sleeper CIWL train, running in up to 4 sections, it was majestic. On its bar you could meet Winston Churchill or Brigitte Bardot (at least in the stories). 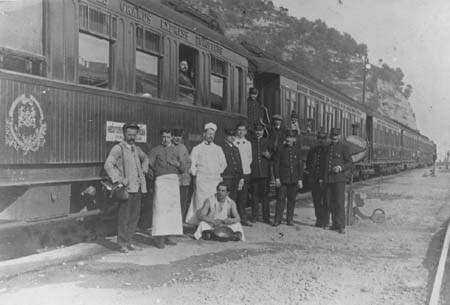 The Salon-Bar cars were ex-WP nos. 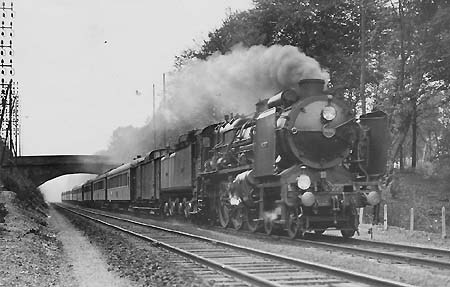 4162 and 4164. 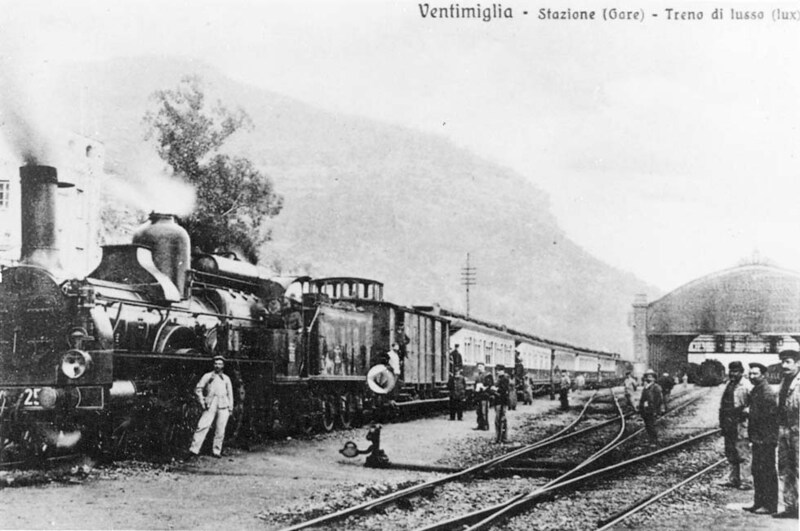 During the last decades of the 20th century the luxury had gone. Only the renovated “Le buffet” in Paris Gare de Lyon has the splendor of the past - and is so “exclusive”, that taking photographs there was strictly forbidden. The Train Bleu at that time was not at all exclusive, it got even the cramped 6-berth couchette compartments. The diner and the bar had vanished and then the train was pushed out of the Gare de Lyon. 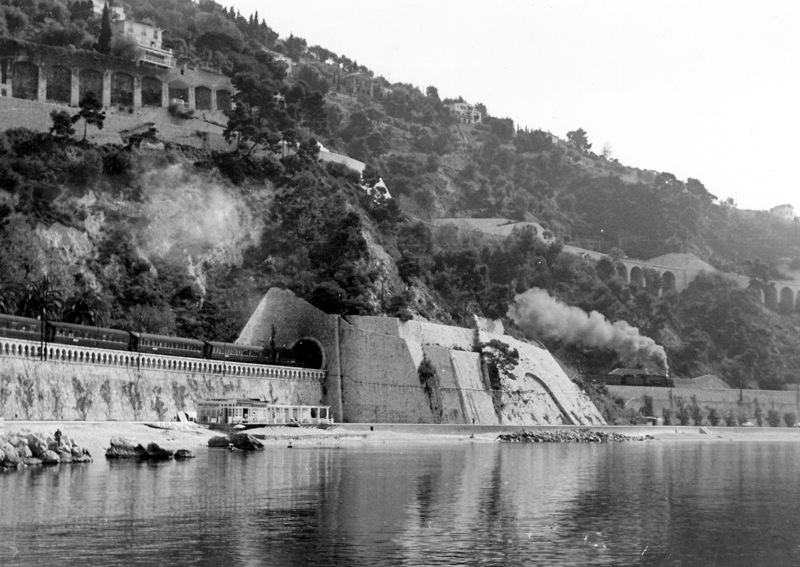 In 2004 SNCF removed the glorious name and finally the last sleeper Paris - Ventimiglia vanished - once saved by Prince Rainier and Princess Grace. 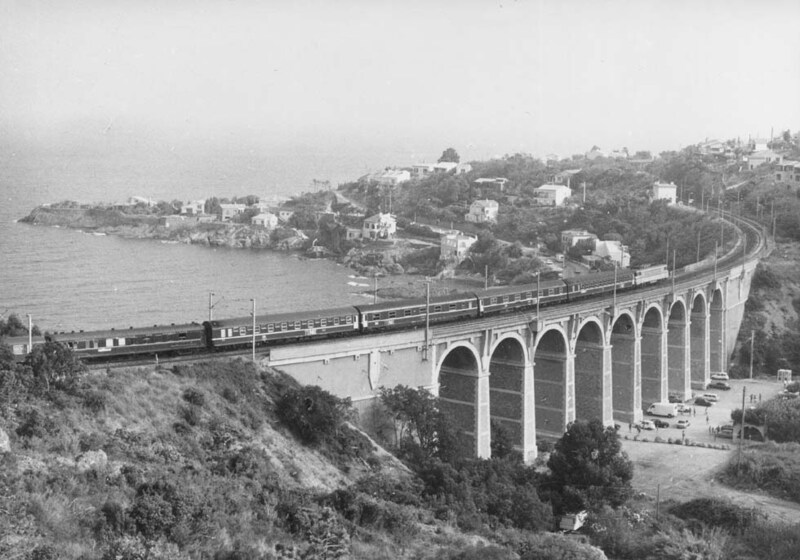 First section R10003 Paris - Nice, second section R3 (Calais)-Paris-Ventimiglia (-San Remo), third section R11003 Paris - Nice, all sections CIWL all-sleeper trains. 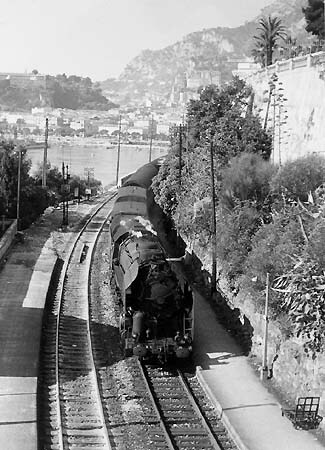 Colors: CIWL dark blue, WLP stainless, SNCF dark green, steam locomotives black/olive.